"We are not ordinary, we are extraordinary. ​We fly higher than the rest." 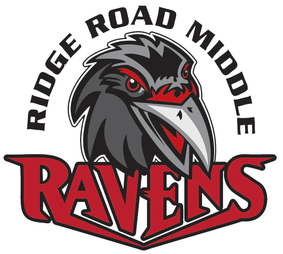 SIGN UP TO FEED OUR AMAZING RIDGE ROAD TEACHERS on OCT 18th. Harris Teeter will be supporting Ridge Road Middle School this year through the Together in Education Program! The Highland Creek Harris Teeter chose OUR SCHOOL as a BONUS SCHOOL! 2017-2018 school year, Harris Teeter will MATCH that with $100 in bonus dollars up to $2000! ​THE BOOK FAIR IS COMING!! Sign up to help today!!! DON'T FORGET THE SCHOOL STORE IS OPEN EVERY FRIDAY FROM 8:45am to 9:15am! ​Come shop and grab all of your RAVEN gear! !